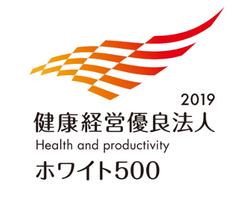 For the third year in a row, SNBL Japan received the Health & Productivity Award, presented by the Japanese Ministry of Economy, Trade and Industry. This award recognizes organizations which promote health in their region by implementing strategies to improve the health and productivity of their employees. As part of its strategy to improve employee health, SNBL Japan has implemented Wellness Tourism seminars, a series of health challenges, and early cancer screenings. SNBL Japan will strive to continue these efforts and ensure that the recognition of our strategy is meaningful. We have updated our posters section. We look forward to seeing the research that will be presented in the new year.